Luxurious and spacious, Whitefalls Lodges offer seclusion and unequalled tranquillity in a stunning location, combined with the luxury of a boutique hotel. 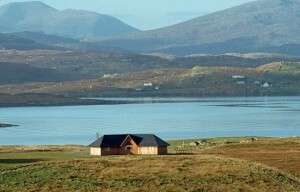 Spectacular views overlooking secluded lochs, wild countryside and the mountains of the Hebrides. 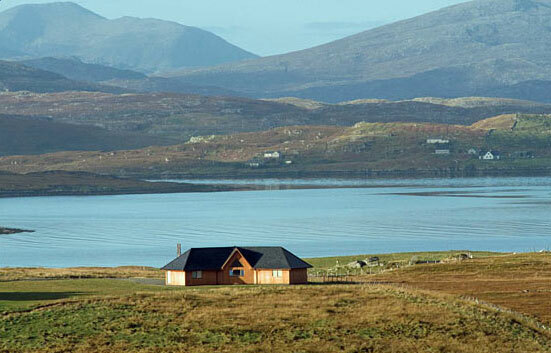 This Hebridean hideaway is the perfect location for a luxurious, romantic and rejuvenating break. Relax and unwind in your own private spa. Each lodge is equipped with a double-ended large spa bath, sauna and large walk-in rain-shower. Underfloor heating is provided for your comfort. The large open plan living areas have vaulted ceilings creating a feeling of light and space which brings the outside in.